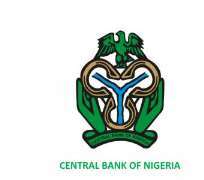 The Central Bank of Nigeria (CBN) has warned banks of the dire consequences of the falling oil price on loan advances to the oil and gas as well as the public sector. In a letter to all banks signed by CBN Director, Banking Supervision, Mrs. Tokunbo Martins, the apex bank said the falling oil prices and the potential for a further decline had been a major concern. Many states have been unable to pay salaries as banks shut the tap amid dwindling and delayed allocations. Mrs. Martins said considering the quantum of exposure to the oil and gas sector, combined with risk management deficiencies revealed by the recent Risk Based Supervision, there is a need to proactively guard against a crystallization of these risks. 'The CBN therefore considers it essential to ensure that banks have sufficient capital buffers to mitigate these escalating risk taking activities. Where exposure to the oil and gas sector (as defined by the International Standard Industrial Classification of Economic Sectors as issued by the CBN) is in excess of 20 per cent of total credit facilities of a bank, the risk weight of the entire portfolio in the sector will attract weight of 125 per cent for the purpose of capital adequacy computation,' she said in the letter titled: 'Oil and Gas Industry Credit Risk Mitigation'. Oil prices have declined from $107.89 per barrel in June to $85.06 per barrel in October, and trading at $57.33 per barrel. The possibility of further decline, Mrs. Martins said, should not be underestimated. The CBN director said that a proposed single-factor sensitivity stress test showed that at $70 per barrel, 25 per cent of oil sector loans would become non-performing while 15 per cent of the loans will be nonperforming in the public sector. At $65 per barrel, 40 per cent of oil and gas portfolio becomes non-performing and 30 per cent for public sector loans. Also at $60 per barrel, 55 per cent of oil loans become non-performing while 45 per cent of the loans become non-performing in the public sector. The test also showed that should oil price fall to $50 per barrel, 65 per cent of the portfolio would become nonperforming in the oil and gas sector, while it is 60 per cent for public sector loans. The single-factor sensitivity testing, Mrs. Martins said, is a form of stress testing that usually involves incremental change in a risk factor holding other risk factors content. 'Shocks can be assumed to occur instantaneously, and it can be used as a simpler technique for assessing the impact of a change in risks when a quick response is needed. The focus of the sensitivity test is on transmission of crude oil price shock through deteriorating oil and gas, and public sector credit quality, resulting in elevated non-performing loan levels for the aggregate credit portfolio, and a requirement for additional prudential provisioning,' she said. - The Nation.